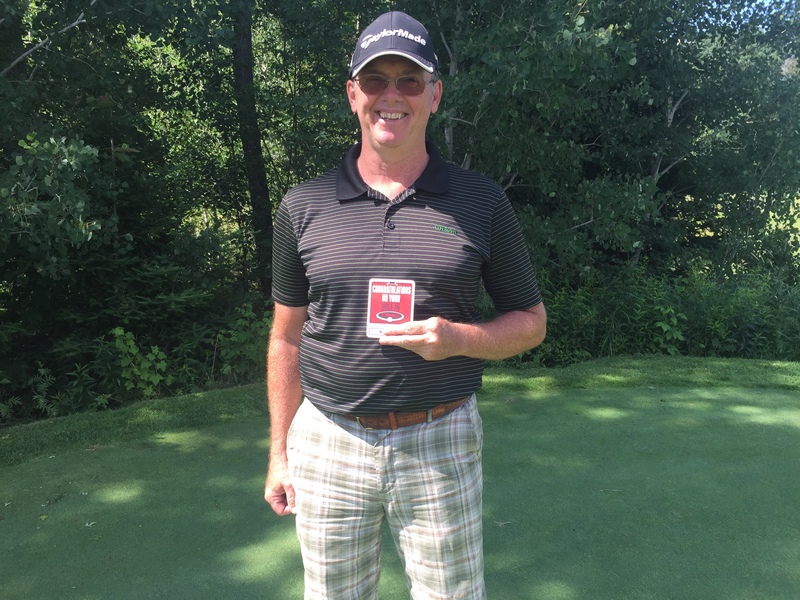 Not an easy hole, Blair Callaghan had the pleasure of carding a hole in one on #17 this morning. 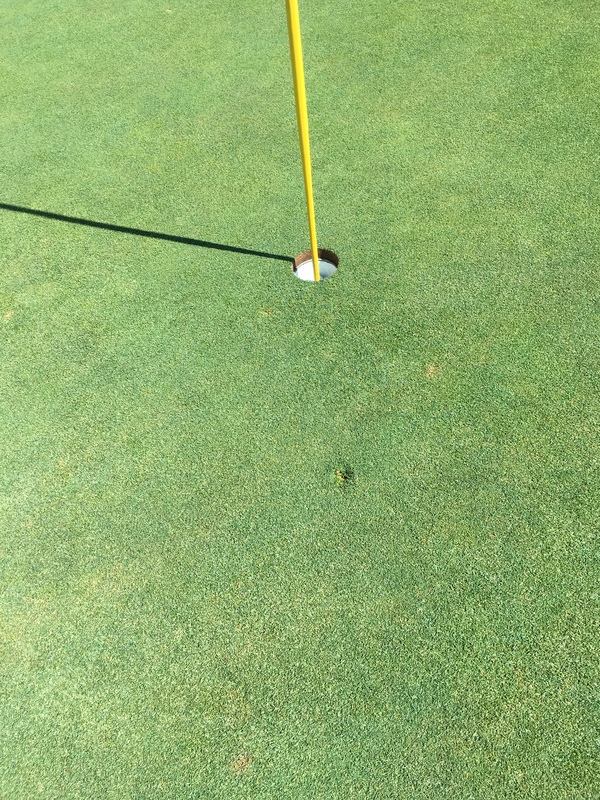 It is also the first hole in one registered this season. Witnessing the feat was playing partner Darin Wallace. The remnants of the shot. Blair fixed his ball mark.